The weather was reasonably kind to the intrepid band that made the westerly slog to Ty Croes. This year, instead of lavish 5 Star restaurant fare, the Saturday banquet was cooked on Dave’s barbecue. In previous years this could have been done directly on the grill in the above photo, but instead, propane powered charcoal it was !! Shelter for open-top cars was a new endeavour, and the garage became the day time gathering point. Mercifully only a spit of rain on the Saturday, or this facility would have quickly filled with new found friends !! The results, and the scoring for this weekend are now available on the Events Page. Please claim any Marshaling points by email, with a note of the event and the date. With Harewood on the horizon, it is time to think one step further and get your Entries in for October Kames. Hope you have enjoyed the season so far! The Kames events at the end of the month mark the halfway point in the championship. 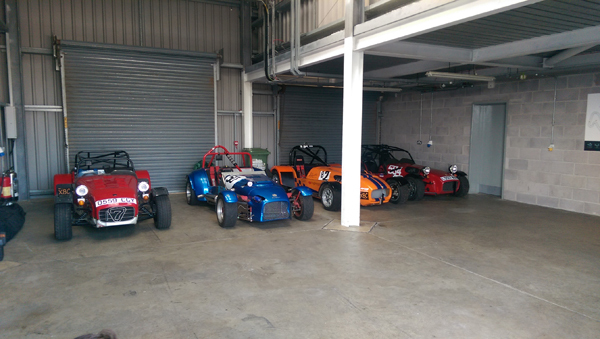 There are still plenty of events to keep you occupied and maybe even mount a challenge for the class or overall championship honours. So, two items we want to discuss with you. Firstly, the two big “away weekends” Ty Croes & Harewood. We would like to know what you want to do. Do you all want to meet up for a meal somewhere on the Saturday night? In which case we could do with numbers so we can book! Curry, Chinese, English, don’t care, etc., please let us know. 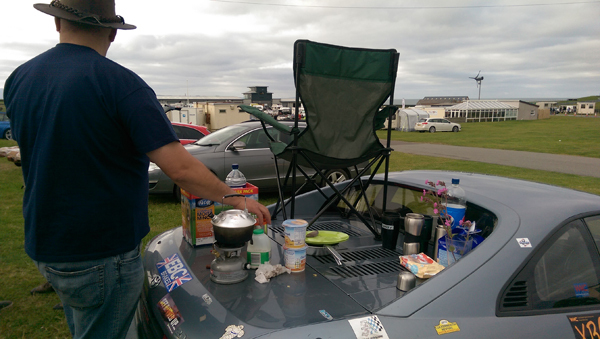 If we have a large number camping maybe you would prefer a Barbie and a beer, again please give us some ideas. We have made enquiries about a pit garage at Ty Croes. Can you let us know if you wish to use it? We are told a full pit garage takes 4 cars but i suspect we can get more in for wet weather parking/overnight, Maybe a second garage would be required. Finally as mentioned in a previous XBC News, we have our own XBC / Wigton MC event at Kames on Sunday October 4th. We really would like to make it a fantastic and successful event but we need help to do it!! We have most of the “officers” in place but like any other event it cannot run without an enthusiastic team of Marshalls. If you are unable to compete in the Kames event, would you be able to Marshall? Could your pit crew/general hangers on, your wife, children(over 16) help out? If there is anyone interested, could you contact us and “pledge” to Marshall (any training required will be given on the day).